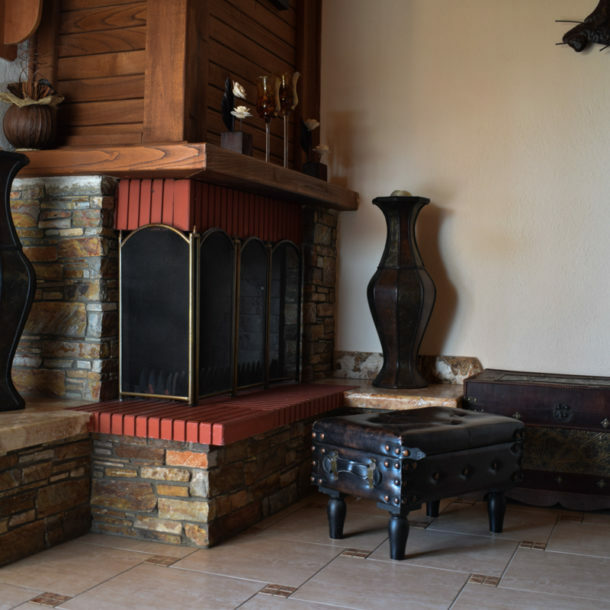 In our hotel you can enjoy your coffee next to the fireplace with view for our garden. All of our rooms have view in the garden and each of them have a different decoration. 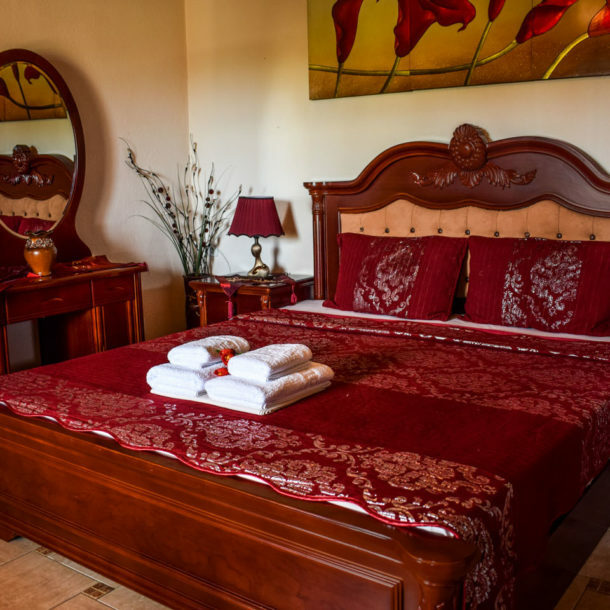 Welcome to our guesthouse come with us to guide you to the beauties of Loutra Pozar and discover the secrets of nature that will revive your soul and your body. Within walking distance you will find restaurants and shops. Kaimaktsalan Ski Resort is 30 km. away from the accommodation. The healing properties of water are recommended for circulatory and respiratory diseases, rheumatism, gynecological and skin diseases. 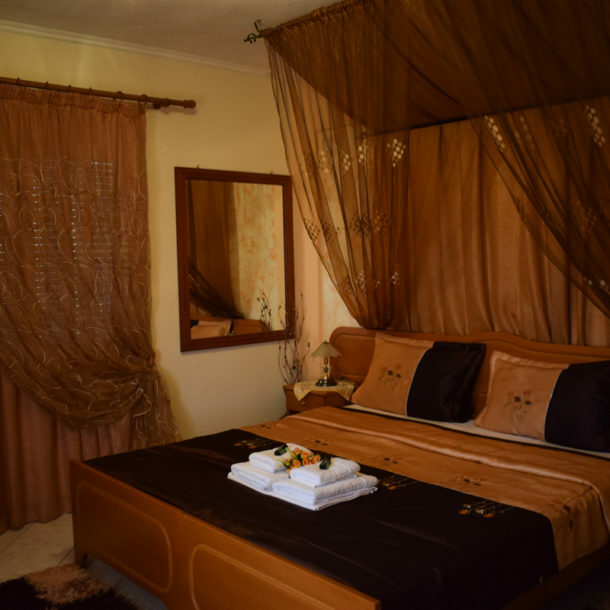 Harama Guesthouse operates all year round. We wish you a pleasant stay in Pozar Baths. Each room is unique. With different decoration and attention to detail. 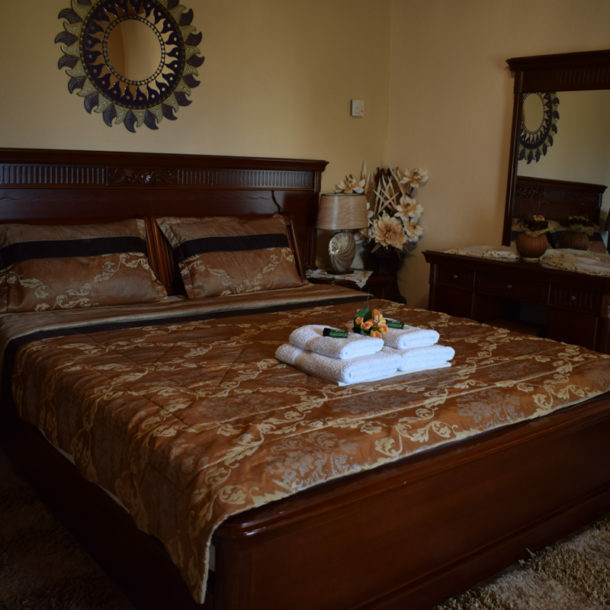 All guest rooms at Harama Guesthouse are decorated in warm colors and have a TV and fridge. Bathrooms are equipped with a shower. Guests can enjoy views of the garden. Some rooms have a fireplace and air conditioning. There is free parking for all guests.